PHOENIX (CNS) -- The church needs to look beyond ordained clergy for leadership, said Marianist Father James Heft during an address at the annual meeting of the Conference of Major Superiors of Men in Phoenix in early August. "Early on in the life of the church, religious life was a lay movement. Beginning in the third century, the desert fathers were typically not ordained, and a century later when monastic communities began to form, they remained a largely lay movement," Father Heft said. "By the time active religious orders arrived on the scene in the 12th and 13th centuries, the vast majority of their members were ordained. If there were any brothers, they were to serve the priests," he said Aug. 3. Father Heft is the Alton Brooks professor of religion and president of the Institute for Advanced Catholic Studies at the University of Southern California. He founded the institute in 2006. Before that, he was at the Marianist-run University of Dayton in Ohio, first as chair of the theology department, then senior vice president and university provost and finally chancellor. Author or editor of 11 books and numerous articles, he is now working on a book on the mission of Catholic colleges and universities. "In our order the priests are ordained to serve first the brothers with whom they live, and then with them others through various ministries," he said in opening his address. 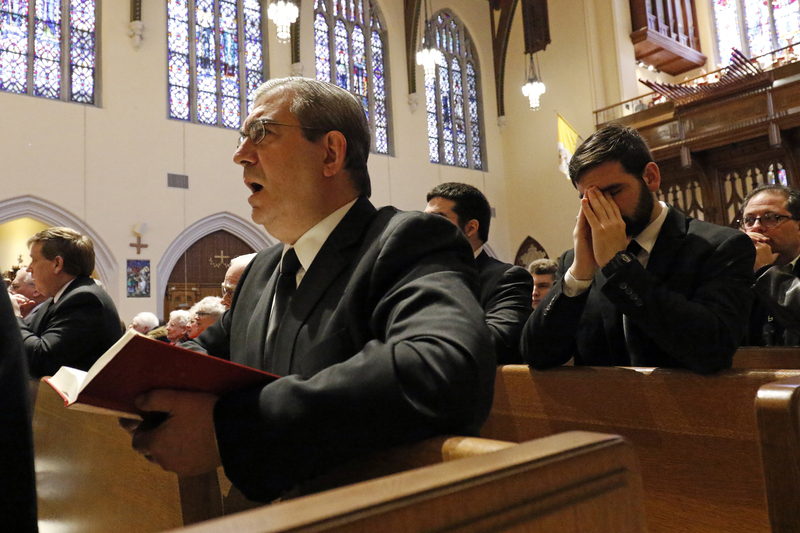 "As one of our priests often remarked, 'I am a brother who happens to be ordained.' Brothers are not there to serve the priests, except through the mutual responsibilities that characterize any group that aspires to be a real community." "Our common life and the three vows, plus a special vow that dedicates us to Mary, constitute our identity," Father Heft noted. "At the time of the Reformation, what Protestants opposed, Catholics emphasized -- some might say exaggerated. The Protestants emphasized the priesthood of all the faithful and the Catholics, in response, the ordained priesthood," he explained in the main part of his address. "The Protestants put great emphasis on the study of the word of God and preaching while the Catholics emphasized the sacraments, most of which are celebrated only by priests. Most Protestant churches abolished religious life; the Catholics made it a higher calling than marriage. Protestants emphasized the priesthood of all the faithful and the Catholics, in response, the ordained priesthood.